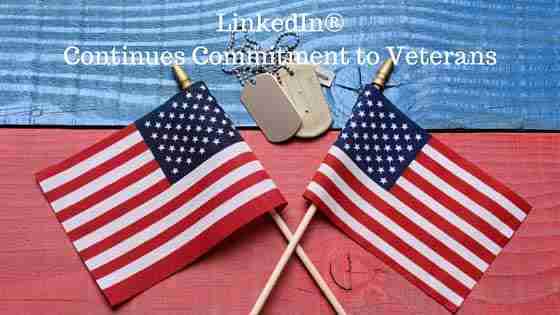 LinkedIn Continues Commitment to Veterans As we know LinkedIn is the best online tool to build a professional LinkedIn profile, tell your career story and attract people and opportunities a Veteran can enjoy. Read our article for guidance to make the jump from military to civilian life easier. I am so happy to learn of companies that are recruiting and supporting our veterans. LinkedIn has been one of those consistent supporters offering a free one-year job seeker package to those needing help in gaining employment. As a Veteran job seeker, your goal is to show your expertise through your skills and detailed experience. Focus on writing a dynamic Summary section, start by writing in the first person, and focus on transferable skills and talk about your area of expertise. Always include your skills in Leadership, teamwork, training teams etc. Obtain recommendations – you will need to invite people to connect that you wish to ask for recommendations. Having a testimonial of your skills is important proof to a potential employer. Add an updated professional photo – first impressions do matter! Multi-media – which means images, video or PDF’s documents. Show images that tell your professional story. Earlier this year LinkedIn purchased the online learning platform Lynda.com. Sign-up for your FREE year of learning on Lynda.com. This includes unlimited access to 4,000 courses in business, creative and technology skills all taught by industry experts. Check out the newly released Lynda.com video “Translating Your Military Service to Civilian Life.” by Lida Citroën. Lida has worked with hundreds of veterans to ease the transition experience and help them reintegrate with confidence and success. Get a FREE one year LinkedIn Premium Job Seeker account to access advanced job search tools and join the Veteran Mentor Network Group, where you can discuss your transition and career plans with people who have been in your shoes. LinkedIn continues commitment to Veterans in the U.S., which gives you the benefit of many great LinkedIn groups formed to help veterans in the job search. Do a quick search using the word “Veteran” and you will find many groups worth joining and exploring. 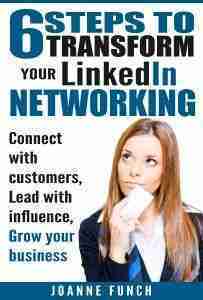 For more information, visit www.veterans.linkedin.com Check out my LinkedIn Services Veterans Can Leverage. Thanks for the update, JoAnne. I’ve shared it on all 4 social media platforms where I am active. Thanks Vatsala, I appreciate your sharing and glad you found this useful.